Haghparast, S., Mohammadian Roshan, N., Dorodian, H. (2014). Effect of Planting Patterns and Vermicompost on Yield and Yield Components in Maize and Beans Intercropping. International Journal of Advanced Biological and Biomedical Research, 2(4), 1064-1074. Sedighe Haghparast; Naser Mohammadian Roshan; Hamid Reza Dorodian. "Effect of Planting Patterns and Vermicompost on Yield and Yield Components in Maize and Beans Intercropping". 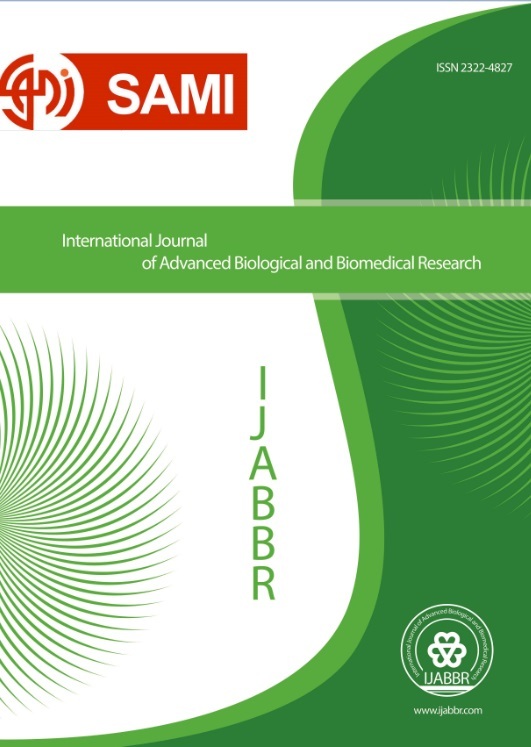 International Journal of Advanced Biological and Biomedical Research, 2, 4, 2014, 1064-1074. Haghparast, S., Mohammadian Roshan, N., Dorodian, H. (2014). 'Effect of Planting Patterns and Vermicompost on Yield and Yield Components in Maize and Beans Intercropping', International Journal of Advanced Biological and Biomedical Research, 2(4), pp. 1064-1074. Haghparast, S., Mohammadian Roshan, N., Dorodian, H. Effect of Planting Patterns and Vermicompost on Yield and Yield Components in Maize and Beans Intercropping. International Journal of Advanced Biological and Biomedical Research, 2014; 2(4): 1064-1074. Intercropping systems compared to monoculture systems can more efficiently use the existing resources which ultimately will lead to increased plant performance. Therefore, to evaluate the benefits of intercropping maize and beans and assess its impact on yield and yield’s component, an experiment was conducted in factorial design with randomized complete block design in three replication, in 2012, at research station of Astane Ashrafiye, at Guilan province. Experiment factors was four planting patterns included maize monoculture, beans monoculture, planting a row of maize and two rows of beans and planting a row of maize and three rows of beans and three levels of vermicompost included 2, 4 and 6 ton.ha-1. The results of the analysis of variance showed significant interaction effect of planting pattern and levels of vermicompost on grain yield, 1000-grain weight and plant height of corn and traits included grain yield, 1000-grain weight and number of seeds in sheath of beans. Maize and beans intercropping planting pattern cause an increase in the mean values ​​of most traits in maize and beans which shows the superiority of intercropping cultures compared with monoculture. The LER (land equivalent ratio) was calculated greater than 1 for all characters thus confirms the usefulness of intercropping compared to sole crop. Increasing of vermicompost level to 4 and 6 ton.ha-1 had a positive effect on most traits of maize and beans. The A4B3 (planting a row of maize and three rows of beans and 6 tons of vermicompost fertilizer per hectare) because of having the highest values ​​for most traits in maize and beans was introduced as desirable treatment of experiment.